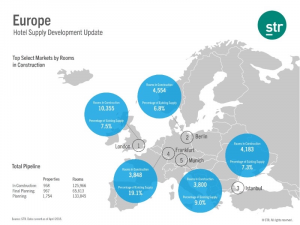 Located below is our latest infographic for Europe hotel supply development. Click on the image should you need to download a high-resolution version. Additionally, we are more than happy to help if you would like to receive pipeline figures for other markets. Please feel free to contact the STR representatives listed below with your request. As always, we welcome any feedback you may have regarding our media communications.